I hope you had a lovely Memorial Day Weekend. I successfully had a low-key, relaxing holiday with my family. I didn’t attend any cookouts, I spent time shopping during the day and hiking with my family in the evenings. If you are new here, I am not a compulsive shopper because I am moving towards a minimalist lifestyle. I also am on a financial freedom journey, so when I do go for a shopping trip, everything is planned. I spend the previous week at the malls figuring out what I was going to purchase. I didn’t buy that many things, and I didn’t get anything over the top. But I did get everything I needed. 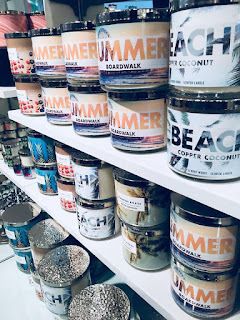 First stop was Bath and Body Works. Man I love this store. They really do have such amazing candles and wall plug ins. I love when my house smells amazing and so I don’t like to go without my candles. I took the girls earlier in the week and smelled every new scent. 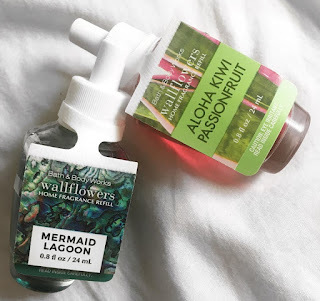 They just released their summer scents and I fell in love. I grabbed two 3-wick candles. Suntan which is my absolute favorite. 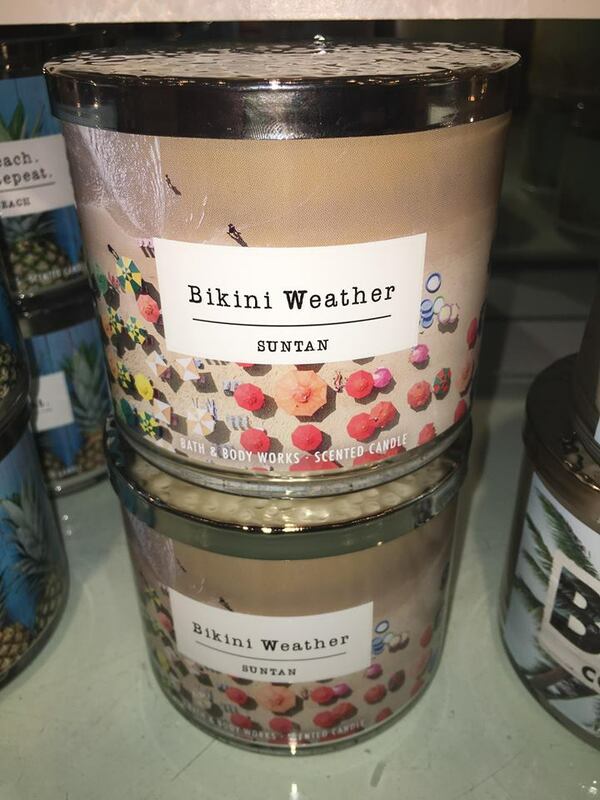 It literally smells like sunscreen on a hot summer day. I instantly think about a day at the beach when I smell this candle. I can’t wait to start burning it. I also got Blue Ocean Waves, which my oldest daughter picked out. It smells nice! I also got some new plug ins. I purchased Campaign toast, mermaid lagoon, and kiwi passion fruit. Now my house smells like a tropical paradise. Next, I picked up some amazing new flip flops for my husband from my local hiking store. He likes to wear flip flops in the summer because it gets hot and humid here in Virginia. 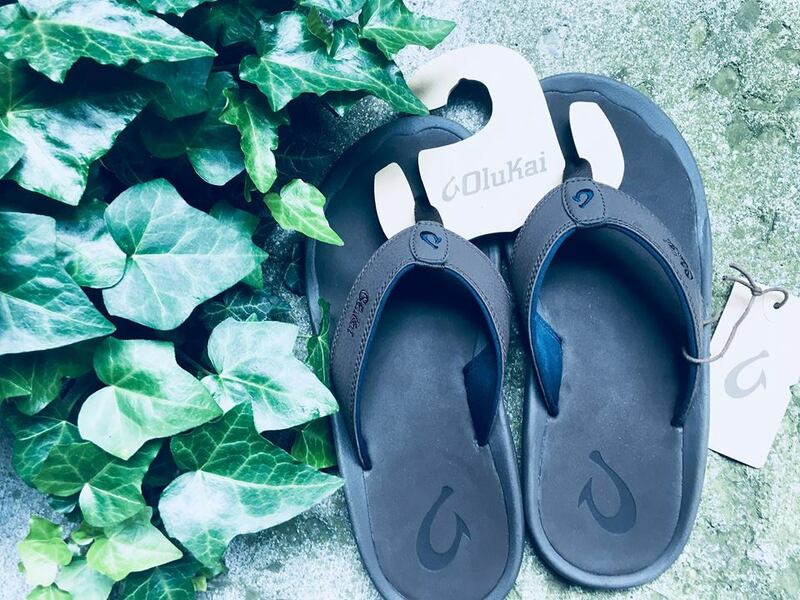 But he had been searching for a durable, comfortable pair of flip flops for a long time. I found these when I was walking around town with the girls and brought him in the store to try them on. He loved them, and we took them home. He has had nothing but good things to say ever since! I highly suggest you check OluKai out if you are looking for some high-end flip flops. I got lots of cute shorts for this summer. I must admit that I don’t thing I bought a single pair of new shorts last year, so it was time for a closet upgrade. Since I am working on a capsule wardrobe, I got a pair of black, white, jean, and pink shorts. The pink shorts I ordered online and should be arriving today. 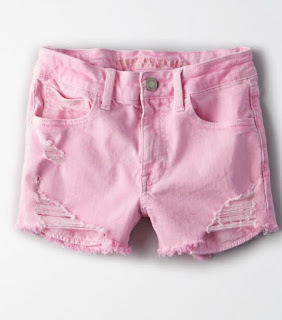 They are my favorite because I love wearing Pink in the summertime. 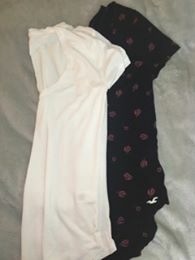 I got them from American Eagle. I also got the cutest tee in the world! It has roses on it!! I had to get it because I am obsessed with roses. I got this tee at Hollister, along with the jean shorts. Lastly, I got myself a basic white tee. I wonder how long it will last before I get stains on it. I got lots of clothes for my girls as well, but they have already been worn and are now somewhere around my house. 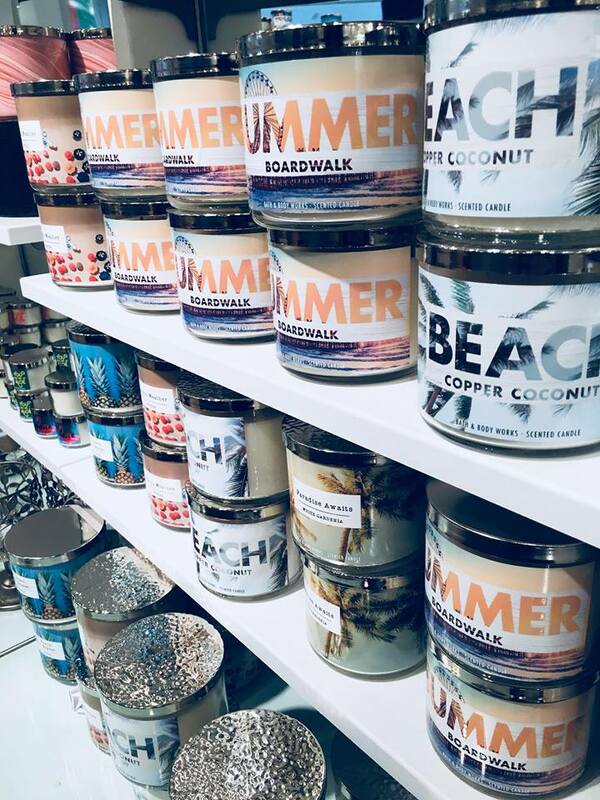 If you missed the sales this year, I highly suggest you plan to do all of your summer shopping on Memorial Day Weekend next year. I worked in retail for 6 years and I can tell you that Black Friday, and Memorial Day Weekend are the best times to shop. Everything is on sale!